It is estimated that by the year 2040, 1 in 5 adults will be over the age of 65. Currently, there are approximately 44 million adult Americans helping their aging parents with daily activities such as bathing, eating, dressing, and taking medication. So what do you do when your aging parents need help? The Bridge Care Suites has put together 8 ways to help you manage your parents’ long-term health. First and foremost, your aging parents are still adults and they are responsible for the outcome of their decisions, even the bad ones. Second, they deserve to be treated with respect. If your parents are confrontational about discussing their long-term needs, take a step back and remind yourself of their wellness goals. You may want to consider utilizing the effectiveness of the mantra, “strike when the iron is cold,” which can enable you to have more productive conversations about the important things they may be going through such as losing the ability to drive, moving, and finances. By helping your parents accept their situation you can take small steps to discuss their needs now and in the future. While it’s important to realize your parents are adults, it is equally important to realize you have needs to be met as well. Many aging parents are dealing with very sensitive issues and may not have the information they need or the ability to plan for the next phase of their life which can make discussing transitional phases difficult. Remember, more can be accomplished when discussing these phases when both parties have clear expectations with mutual respect. Don’t do it alone. Many children want the best for their aging parents but often fail to ask for help from siblings, other family members or from community members. It can be helpful to realize that many parents don’t like to ask for help and feel vulnerable when their freedom is jeopardized. By asking for help and reframing conversations to include “how much you care for them” you are more likely to come to an agreement about their long-term wellness goals. Self care is just as important for your parents as it is for yourself. Utilize your support network to vent and confide in others when times are tough. Invite your loved one on a walk or other activity they enjoy. Many communities have clubs or groups for active older adults. For example *The Bridge Care Suites sponsors The Mall Walkers program in which older adults gather at the local Mall to walk laps, perform stretches, and participate in blood pressure screenings. Adopting a healthy lifestyle will ensure that both your parents and yourself have the energy needed to be partners in your families long-term wellness plan. Confronting major life changes can be hard and often overwhelming. While ensuring day-to-day needs are met, it is important to keep conversations focused on long term milestones such as anniversaries, graduation, or weddings. This can be helpful in communicating to your parents that they are still valued and needed by the family as a whole. Two words: Plan Ahead. You never know when illness or disability will strike your family so planning ahead and knowing your options is critical to ensuring a smooth transition into long-term care. Take steps ahead of time to create the necessary legal documents, research long-term care residences, consider long-term health care insurance, and identify who is responsible for healthcare decisions on behalf of your parents if they are unable to make decisions for themselves. Discussing elder care can be stressful. Aging parents often feel vulnerable and anxious about going from being independent to interdependent. Many social, legal, and financial considerations need to be addressed. There may be more than a few times that your loved one will need short stays for rehabilitation or other needs throughout the aging process. It takes time and energy to create a successful plan so begin having these conversations early. 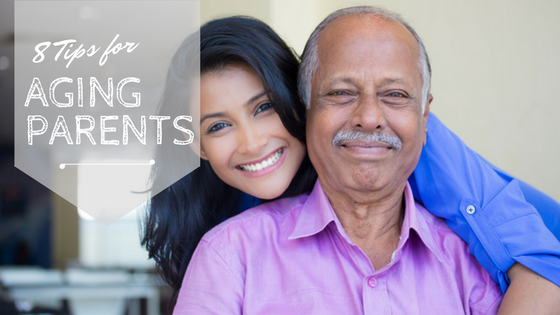 Being patient with the process will ensure that your aging parents feel more comfortable about their needs being met. This can often help to ease the anxiety felt when needing to be away from home for an extended period of time. Here at Bridge Care Suites our staff and care team understand aging and rehab. We want you back on your feet feeling great again. Let us know how we can best serve you. Give us a call today 217-787-0000. *The Bridge Care Suites Mall Walkers Club- The White Oaks Mall in Springfield IL opens its doors early (8am) for The Bridge Care Suites Mall Walkers Club members to enter early and get a jump start on the days exercise. The Bridge Care Suites performs blood pressure screenings in the food court on the first and third Wednesday of each month. This club is free to the public so stop by and sign up anytime.